For the past few weeks, I've been getting tons of red peppers and onions from my CSA and have been trying to figure out what to do with them. 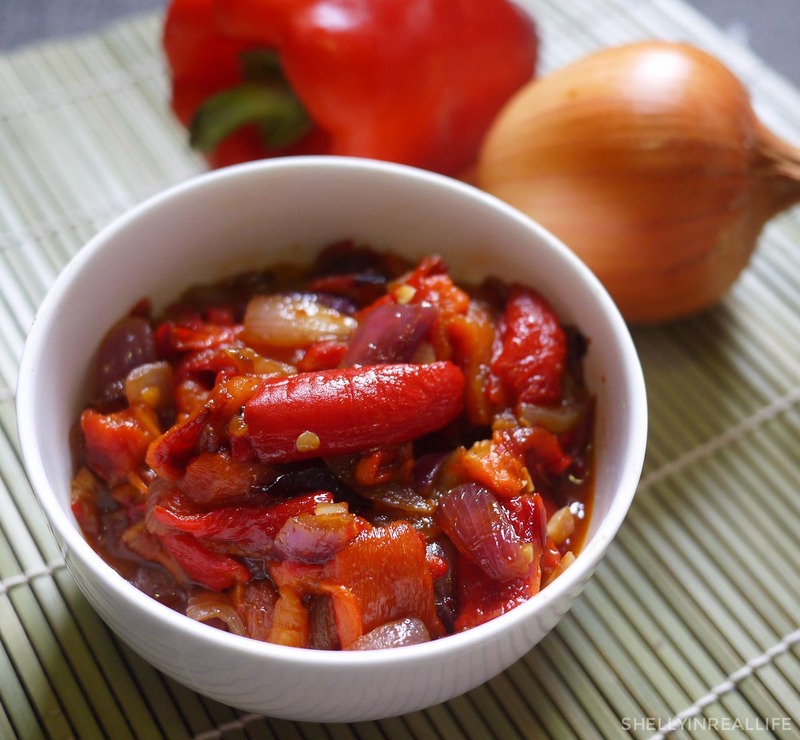 When I came across this recipe for a confit of pepper and onions, I knew I had myself a winner. The ingredient list was short, the cooking method was relatively easy and it served multiple purposes so that I wouldn't have to eat too many meals of the same thing. You can use this confit on top of crusty bread. In an omelette. Add it on top of a protein. In a sandwich. Mixed into pasta sauce. Pretty much anything you might put caramelized onions on. I've never roasted fresh peppers before but it couldn't have been easier. Just put them in the toaster oven under a high temperature for 25 minutes. Once the peppers were charred, the skins came right off. As the peppers are roasting, caramelized the onions in olive oil over low heat. This really brings out the sweetness out of them, and who doesn't love caramelized onions? The last bit of magic comes from smoked paprika to give the confit extra smokiness, and a splash of vinegar to give it some tartness. It all comes together beautifully into a side dish that you can keep in your fridge for up to a week. Trust me guys, this recipe is a keeper. It will give that extra oomph to almost anything you need. I ended using this all in omelettes and wish I made a bigger batch! Definitely will keep that in mind for the next time. 1. 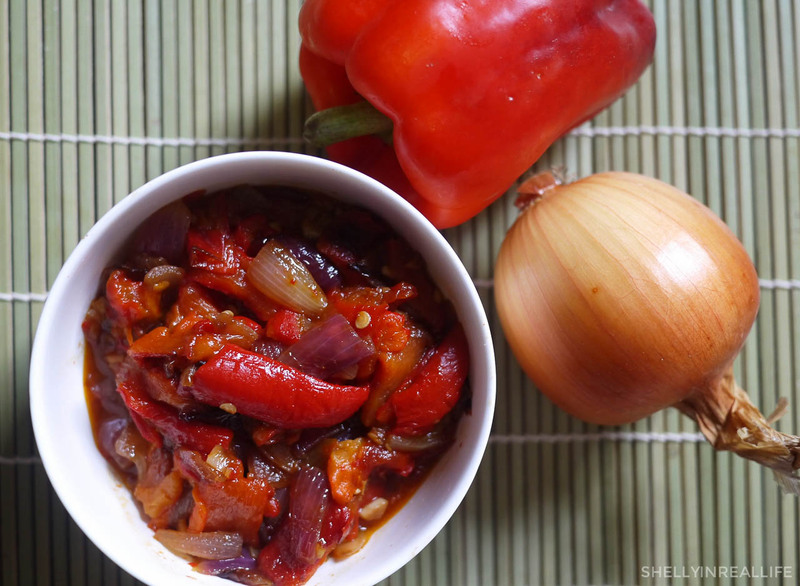 Roast bell peppers. 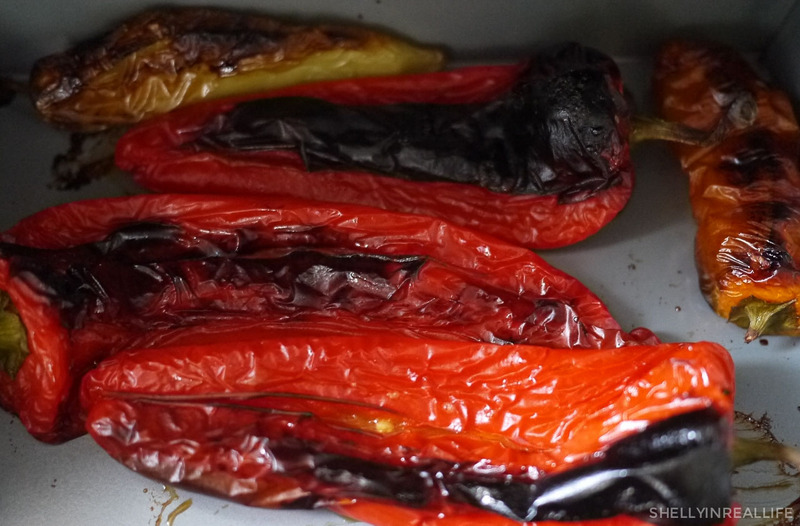 Heat your toaster oven to 450° F and roast your washed whole bell peppers for about 25 minutes. In the last 5 minutes, if you don't see the skin charring, crank up the heat to broil and that should get the job done. 2. Caramelize onions. 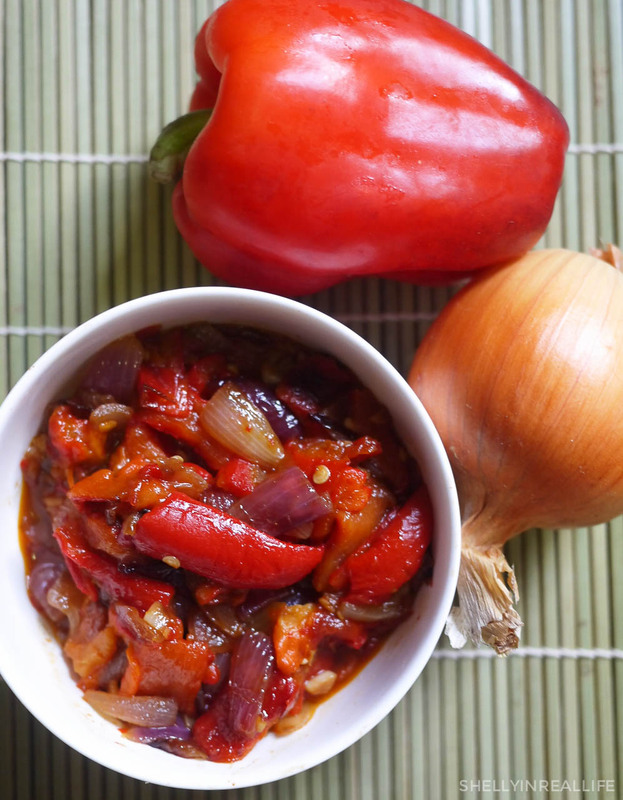 As peppers are roasting, add olive oil, onions and garlic in medium saucepan over medium-low heat. The onions should be cooking slowly and not be browning. If it's browning, turn down the heat. Add the pinch of salt. 3. 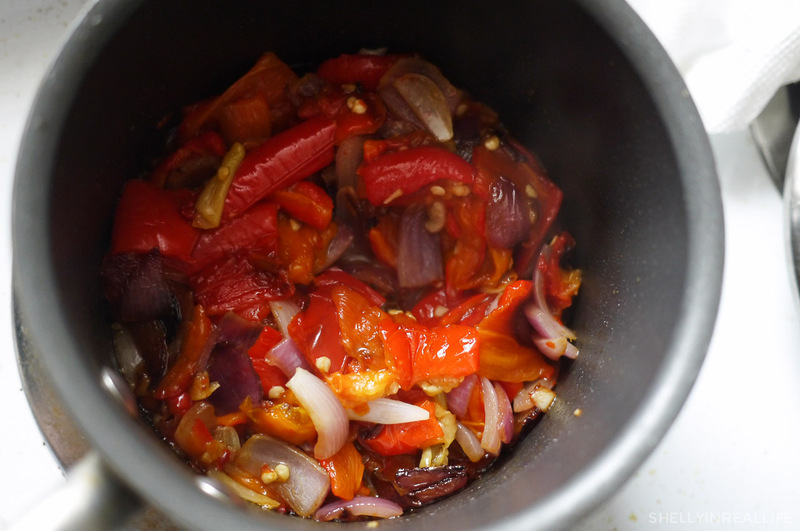 Skin bell peppers & add to pan. 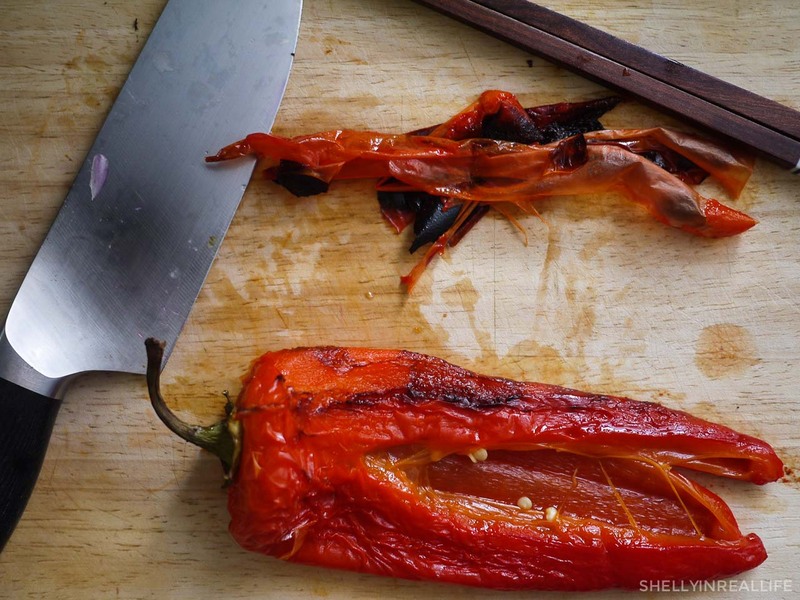 Remove the skin from the roasted peppers. Remove seeds. Cut into 1-inch pieces and add the peppers and smoked paprika to the pan. Turn up the heat a little bit (still a bit less than medium), cook for another 5 minutes to have the flavors meld together. As the mixture start to brown, add vinegar to deglaze pan. Season to taste. 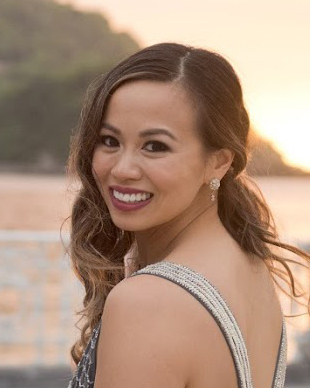 Leftovers can be kept in the fridge for ~5 days.